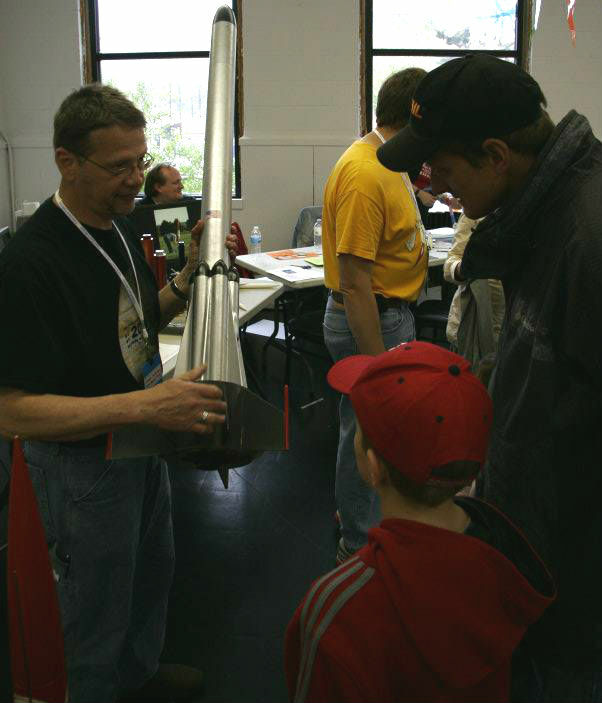 We are happy to announce that the Central Illinois Aerospace rocketry club will again be joining our ranks as makers this year. For the previous three years they have been at the Faire, and last year they showed us how to make awesome paper rockets, and this year they plan on having another fun rocket design! They will also be showing rockets, videos, and other rocket paraphernalia the club has built (i.e. launch pads and a launching systems control box). They will have show & tell with a high-powered rocketry covered too. With a focus on safety, education, and FUN, the CIA holds workshops, and educational programs for schools and other groups, and most importantly, bi-monthly launches. Thank you CIA for joining our crew of makers at this year’s Heartland Maker Fest! Showing off a rocket at last years event. Want to be a maker in the Faire? Fill our out Call for Makers today!